Father. Soldier. Emissary. 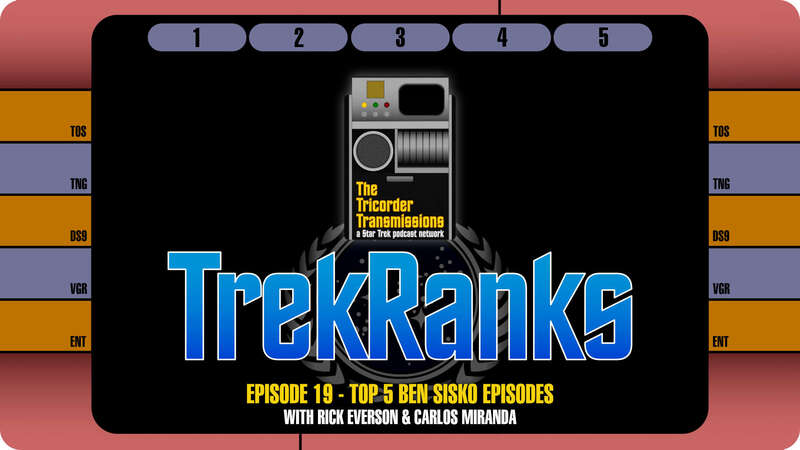 Captain Benjamin Sisko was one of the most unique characters in Star Trek history, and this week&apos;s TrekRanks targets our Top 5 Ben Sisko Episodes. Host Jim Moorhouse is joined by Rick Everson and Carlos Miranda to highlight the moments throughout Star Trek: Deep Space Nine that defined the Sisko as he journeyed from a grieving widower to a troubled Starfleet officer to a Bajoran spiritual icon. This one&apos;s for you Niners! The show begins with our hosts each describing Sisko with one word in the Diagnostic Cycle, before they jump into their Prime Directives to reveal exactly how everyone narrowed down their picks. In The Order of Things the hosts unveil their "Five Word Summary and Hashtag" for each of their Top 5 Ben Sisko Episodes and also unveil a specific moment from each of their selections to better define how they view the character. Big moments, small moments - they&apos;re all here (and yes, more than few Sisko speeches make the lists!). After a quick recap of all the picks in the Regeneration Cycle, the episode concludes with a visit into a Temporal Causality Loop as we flashback to Episode 18 and our discussion of the Top 5 Two-Part Episodes. As always, make sure to hail us here on our website by leaving a voicemail and record your own personal TrekRanks log to let us know your Top 5 Pop Culture References. Your comments might be used via a Temporal Causality Loop in an upcoming episode.